With the zika virus spreading at an alarming rate across the world, the global market for zika virus vaccines is likely to gain substantial momentum across the world. The recent outbreak of the viral infection in Latin America has caused a number of cases of viral transmission from an infected mother to her baby, leading to infants being born with microcephaly and several other related birth defects. As per Brazilian authorities, since 2014, over 1,638 babies have been born with microcephaly-related defects in the country but no medical treatment is available for these infants till now. This situation reveals the severity of the issue, pointing towards the dire need for vaccines for the prevention of the zika virus from spreading, which, in turn, is likely to encourage vaccine producers to develop zika virus vaccines at a high pace. In addition to this, the classification of zika virus infection by FDA as a public health emergency and the orders to evaluate these vaccines under priority review voucher, will accelerate their time to the market. Moreover, the exponential increase in the spreading rate of this virus is anticipate to augment the level of awareness among people, which will reflect on the uptake of zika vaccines across the world. Zika virus infection is primarily transmitted to people by an infected mosquito from the Aedes genus. The symptoms of Zika virus infection include fever, skin rash, general malaise, conjunctivitis, and muscle or joint pain. These symptoms are usually mild and in many cases, this infection is asymptomatic. Incessant research and development activities in the field are providing a significant boost to the growth of the global Zika virus vaccines market. 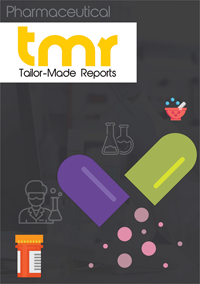 This market intelligence report serves as a professional study of the global Zika virus vaccines market and its overlying industries. It includes a detailed description of all the important parameters of the market including its dynamics and competitive landscape. It offers invaluable insights into the statistics pertaining to the market at both regional and global levels. It profiles the prominent players in the market and presents information regarding their revenue generation, business strategies, market shares, contact information, and latest developments. It includes SWOT analysis that helps in deriving the potential growth trajectory that each key player will experience from 2017 to 2025. The growing prevalence of active Zika virus infection is the foremost factor augmenting the global Zika virus vaccine market. The increasing incidence of Zika fever is fuelling the development of potent vaccines. Moreover, the rising awareness regarding the virus is stimulating the adoption of these vaccines. Furthermore, Zika virus infection can be transmitted from an infected mother to her fetus. In such a case, infants are born with microcephaly and other related birth defects. The Brazilian authorities state that since 2014, more than 1,638 babies in the country are born with microcephaly. Thus, the alarming rise of infection is creating a soaring need for vaccines for the prevention and treatment of Zika-linked birth defects. However, in November 2016, the World Health Organization (WHO) announced that Zika virus infection is no longer an epidemic and is anticipated to be less prevalent in the near future, which in turn is limiting the global Zika virus vaccines market in realizing its utmost potential. Based on geography, the segments methodically examined in the report are Asia Pacific, North America, Europe, and Rest of the World. The Rest of the World region will be a prominent market throughout the forecast period. The widening base of patients suffering from Zika virus infection is the primary factor driving the demand for their vaccines in the region. At present, Brazil is reported to have the highest number of infected individuals, closely trailed by Columbia and Venezuela. Asia Pacific is expected to register a significant CAGR during the same period. The high prevalence of mosquito-borne illness and the improving healthcare infrastructure are promoting the development of Zika virus vaccines. The increasing awareness among populace regarding the infection caused by the virus is also triggering the demand for these vaccines. The global Zika virus vaccines market is capital intensive nature and is, therefore, dominated by large pharmaceutical firms across the world. Some of the prominent players are Takeda Pharmaceutical Co. Ltd., Immunovaccine Inc., NewLink Genetics Co., Bharat Biotech International Ltd., GeneOne Life Science Inc., Inovio Pharmaceuticals, Inc., Sanofi S.A., GlaxoSmithKline Plc., and Hawaii Biotech Inc. These players are pouring hefty funds into the development of effective and reliable vaccines in order to expand their consumer base and stay relevant in the market.